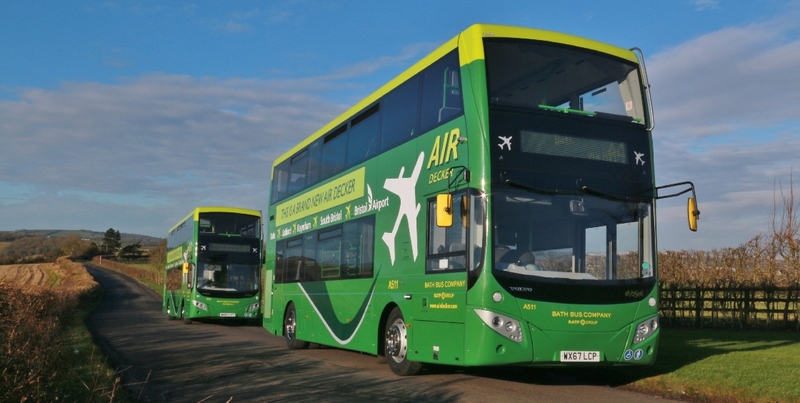 Air Decker (A4 service) is the only direct link from Bath, to and from Bristol Airport! The service operates 7 days a week, all year round (except Christmas Day). It runs every 30 minutes throughout the day time, and every hour before 07:00hrs and after 19:00hrs. The journey takes you through Saltford, Keynsham, Brislington, South Bristol and on to the airport. The Air Decker isn’t just an airport service! We serve every stop along the way, so why not make the Air Decker your choice to get to your destination- be it work, eating out or just socialising! To get further information and book your ticket, visit www.airdecker.com – your journey starts here!